Home / alaska / asia / aurora borealis / canada / denmark / europe / finland / grenland / iceland / mountains / norway / phenomenon / photography / places / resorts / russia / scotland / snow activities / sweden / travel / The Best 10 Places to See the Magnificent Northern Lights! 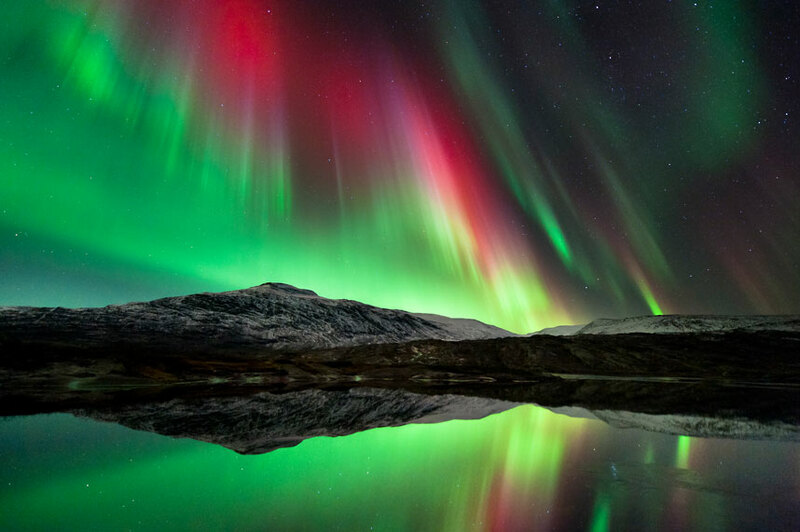 An aurora is a natural light display in the sky particularly in the high latitude regions, caused by the collision of energetic charged particles with atoms in the high altitude atmosphere. The charged particles originate in the magnetosphere and solar wind and, on Earth, are directed by the Earth's magnetic field into the atmosphere. If you want to witness the phenomenal aurora borealis light show, you will need to know the best time and places to witness the spectacle. View Northern Lights in the U.S.
Why Go: Alaska's location within "the zone" means you're almost guaranteed to see spectacular light displays. Be sure to move further away from city lights of Fairbanks into the region's vast wilderness areas of Denali and the Yukon Territory. 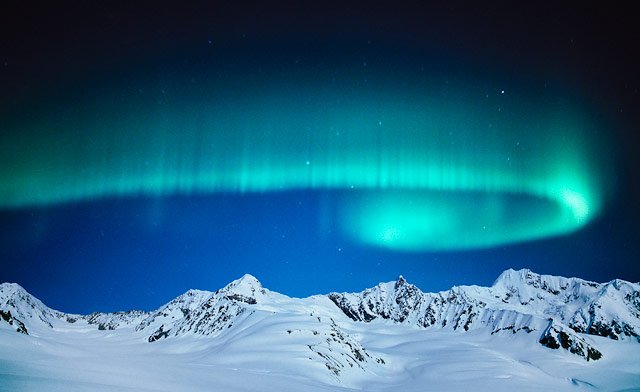 Insider Tip: Check the University of Alaska's Northern Lights forecast to help schedule your viewing trip. Best Viewing Locations: Anchorage, Fairbanks, Denali. Differences in altitudes and gases create a variety of colors, but green is still the most common aurora. Best Viewing Locations: All islands within its archipelago. Why Go: North of Scotland between the Norwegian Sea and the North Atlantic, the Faroe Island archipelago is mostly known for puffins and Viking folklore. While its stormy weather mimics that of the British Isles, visitors to this Denmark-owned province could also see the iridescent lights. Watch the Sky for a Weather Break. An aurora with arcs in different shades of green. Why Go: The British isles are known for stormy, foggy, and cloudy weather--far from ideal conditions for observing the sky, but on those rare occasions when thick cloud covers break momentarily during dark winter months, you've got a good chance of witnessing the display in parts of Scotland's north. Best Viewing Locations: Aberdeen, Isle of Skye, Northern Highlands, Dunnet Head. Go North of the Border for Great Views. 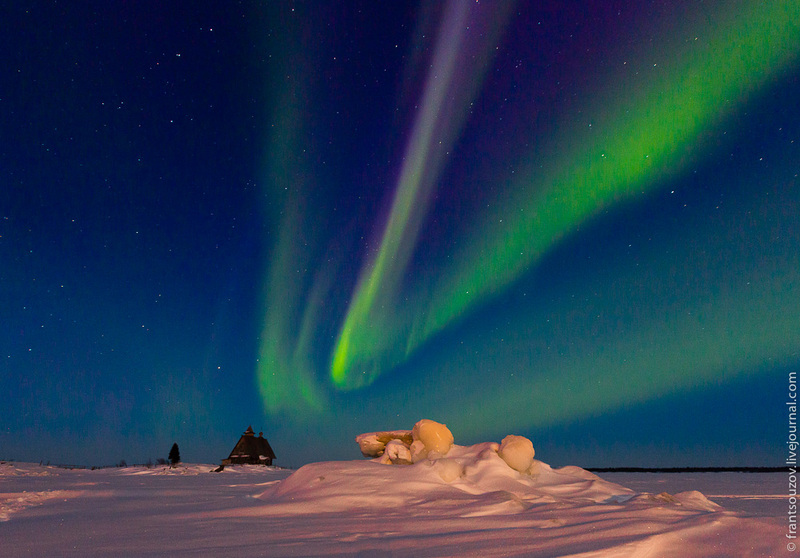 Northern Lights and illuminated Teepee in Yellowknife, Northwest Territories. Why Go: Areas around pristine Lake Superior in Ontario and Northern Canada's tundra back-country are prime viewing spots. Head to the town of Whitehorse within the Yukon Territory to best see the swirling lights. Sometimes, the glowing sky can be seen as far south as the American border, but stick to Canada's vast wilderness for your front row seats. Best Viewing Locations: Calgary, Ontario, Yukon, Territory, Manitoba. Why Go: Greenland still remains a final frontier for the average traveler and from its interior ice remains optimal location, however more accessible areas south and east of Greenland provide just as good viewing opportunities. 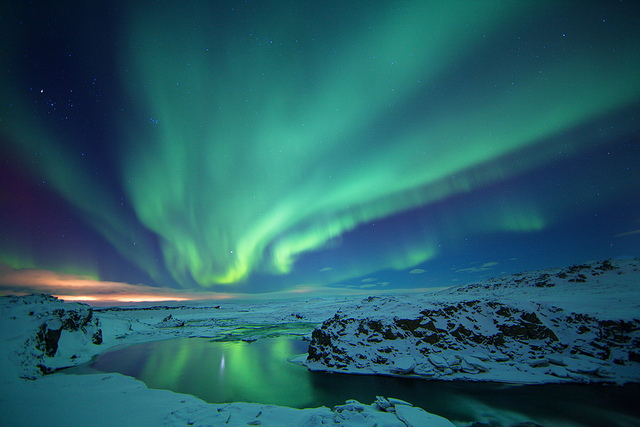 You can see northern lights from most parts of the country (similar to Iceland). Best Viewing Locations: Kulusuk, Ammassalik. Why Go: Head to Luosto in Northern Finland to the Aurora Chalet where, upon arrival, you'll be handed an "Aurora Alarm" which beeps once Northern Lights appear. In the nearby town of Sodanklya, the Northern Lights Research Center relays your message via the hotel. 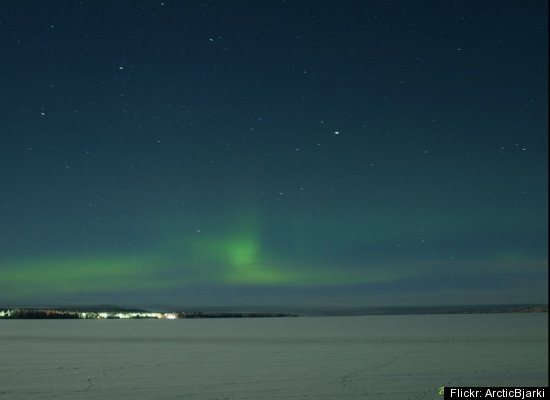 On chilly cloudless nights, you're also bound to catch the lights shimmer in the skies over the town of Nellim, close to Lake Inari--Finland's third largest lake. Best Viewing Locations: Nellim, Utsjoki, Ivalo, Kakslauttanen, Luosto Ivalo . Explore Beyond Reyjavik's City Lights. Why Go: Leave the bustling nightlife of the capital city and head out into the wide open plains of Þingvellir National Park--a UNESCO Heritage Site where the North American and Eurasian continental plates meet to cause a rift valley. Under clear dark skies on a freezing night in early March was where I first witnessed the lights dance across the Icelandic sky. Though the show only lasted for 12-15 minutes, it felt like an hour. Best Viewing Locations: Outside Reykjavik, Þingvellir National Park, the entire country. The phenomenon of northern light has a special place in the Norwegian mythology. 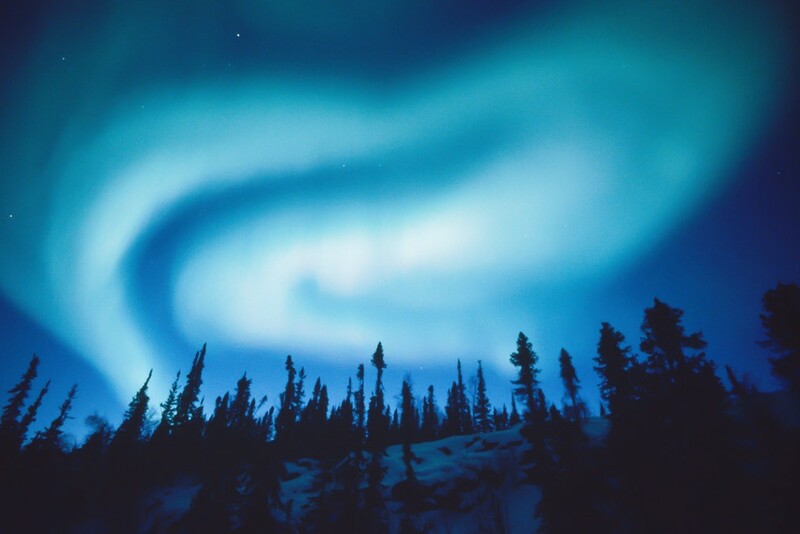 Some proofs of northern lights have been found on the musical instruments of shamans of Sami – the natives of Norway. There are many names for northern lights in their language, for example, they call it Guovssahas, meaning that it is the light you can hear. Why Go: The northern town of Tromsø teems with Aurora Borealis activity when those extended summer days are long gone. Its location above the Arctic Circle, and within the Northern Lights zone, makes it one of the top places to view shimmering green lights. 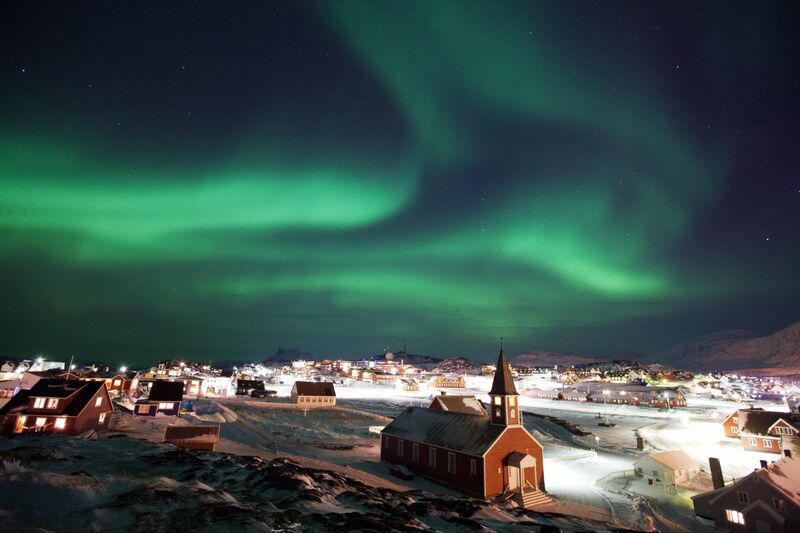 The town also boasts the world's most northerly university, brewery, and planetarium. You can cruise Norway's fjord-lined coast aboard a Hurtigruten ship and get wake-up calls to head out on the deck when the lights appear. Best Viewing Locations: Tromsø, Alta, Svalbard, Finnmark. Learn about Beautiful Blue Holes. 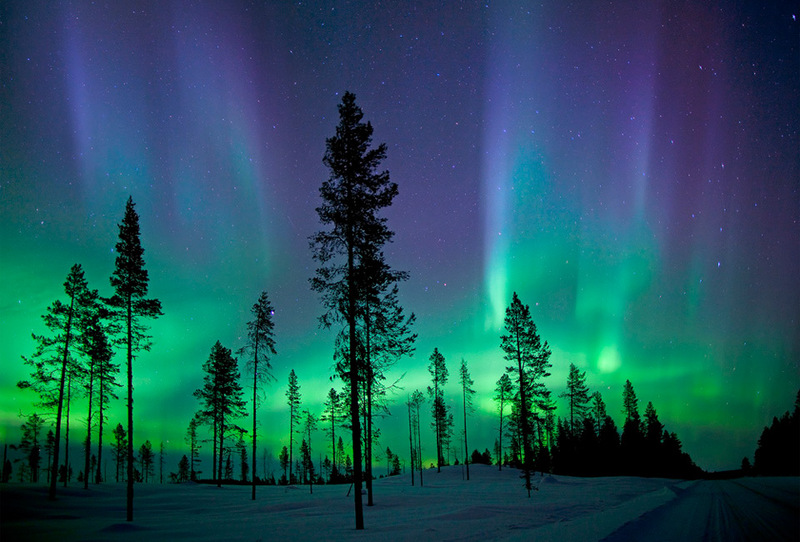 Swedish Lapland's Aurora Borealis: green is the most common Aurora color. Why Go: The area around Abisko in Swedish Lapland is scientifically proven to be an ideal viewing spot due to a unique micro-climate. Close to Abisko National Park, the dark winter night is perfect for sky watching. The 70km (43mi) long lake helps create the infamous "blue hole of Abisko"--a patch of sky that remains clear regardless of the surrounding weather patterns. Best Viewing Locations: Kiruna, Abisko, Swedish Lapland. Brave the Arctic Cold for Arctic Lights. 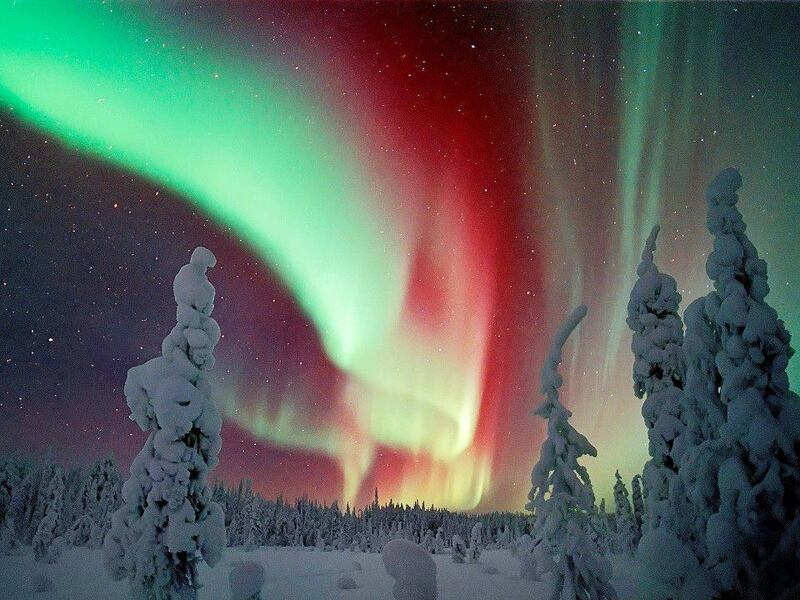 An aurora dances above the horizon in Russia. 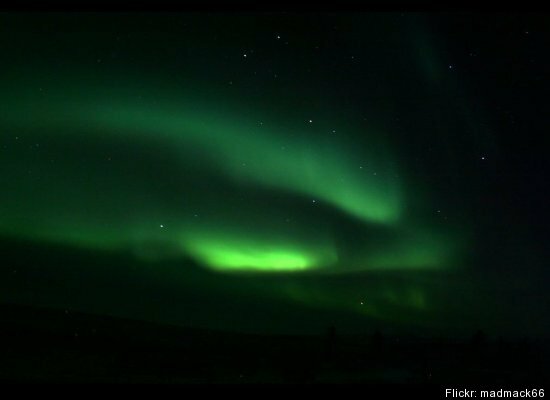 Why Go: In Northern Russia, you've got a good chance of seeing Aurora Borealis. The Kola Peninsula's proximity to the Northern Lights zone also makes it a key area and the town of Murmansk is a popular base . . . if you can handle the below freezing temperatures of a typical Siberian winter. Best Viewing Locations: Murmansk, Siberia, Kola Peninsula. Denmark??? Oh, you mean the Faroe Islands. Denmark proper is no good for northern lights. you might want to edit your Plan Your Trip Fodor Guide sections for each location - most of them say Denmark.